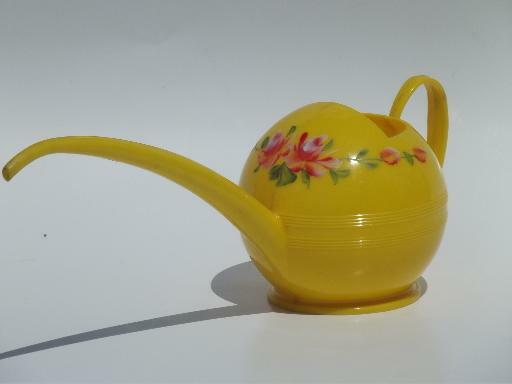 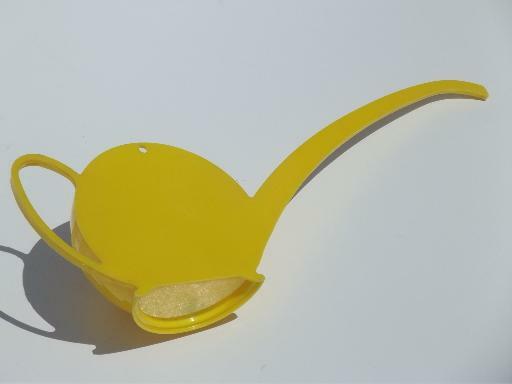 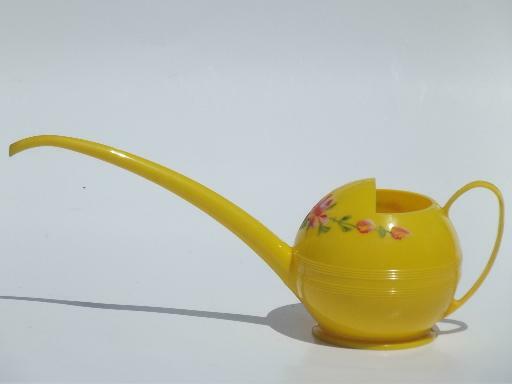 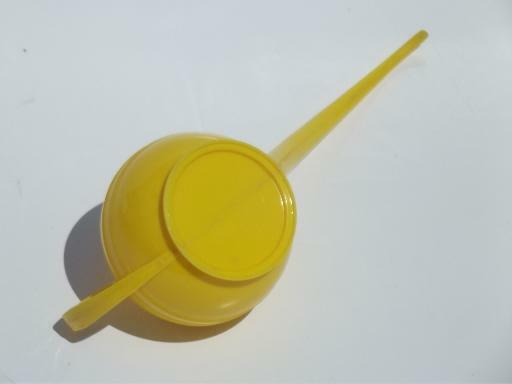 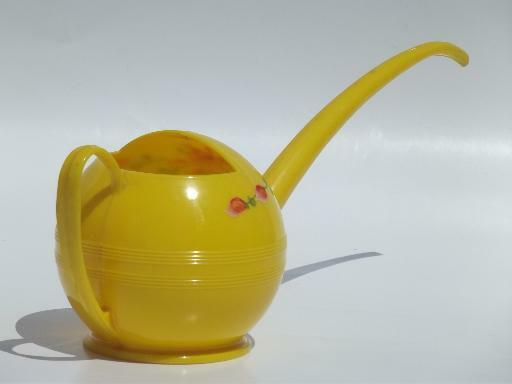 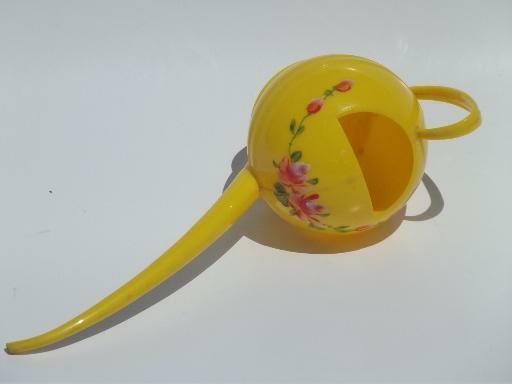 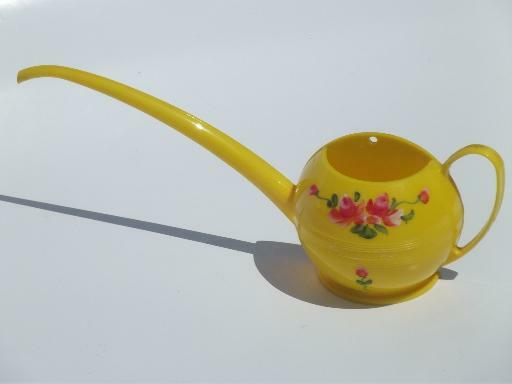 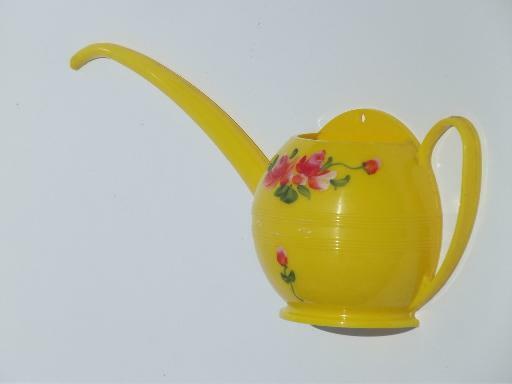 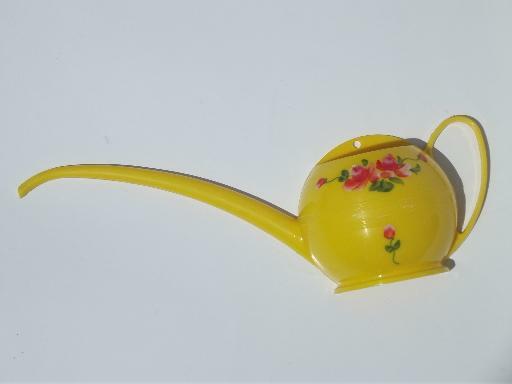 50s vintage plastic wall pocket and watering can for your houseplants (the watering can is about 11 1/2" long end to end). 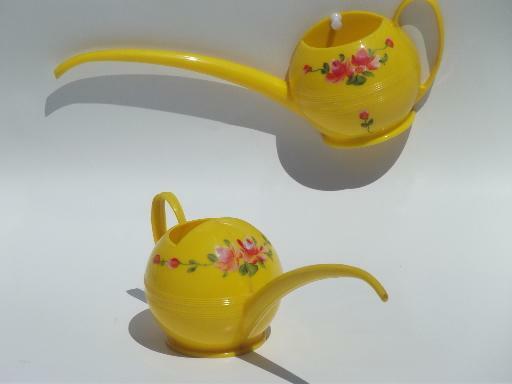 There's a little wear to the pink painted roses, but aside from that both pieces are in nice shape without chips or cracks. 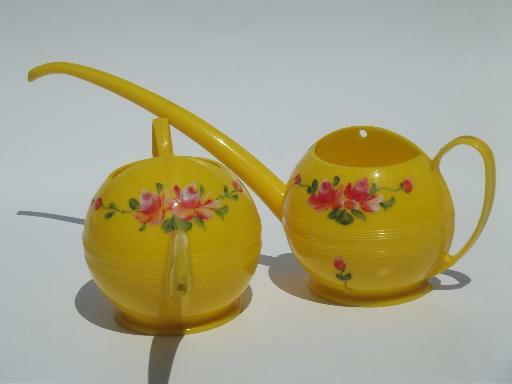 These aren't marked, though they look like LustroWare to us.